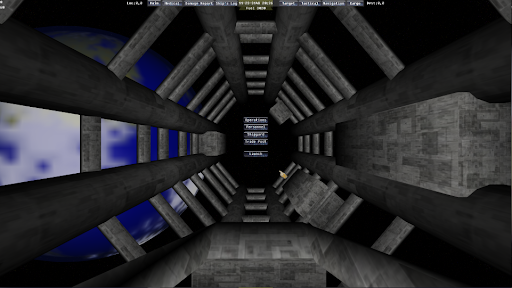 This was inspired by the best pc game ever made: Starflight by Binary Systems, EA. It's loosely based on the mechanics of the game, but will have a completely different storyline and look-and-feel. Please try it out. There's no manual yet, but when I finish it I will post it here with a manual. Up to 7 crew members you can train to fit into 6 fields. I'll have to try something else..... Sorry for the delay. Quote: "I need a moderator's help..... My file is only 41MB unzipped and the zip version I am trying to upload is 32.7MB....."
just stop double posting . The game overall looks nice as for me. Quote: "just stop double posting"
If you really like it, I'll post the most current version. New Update in link of the first post. Thanks. 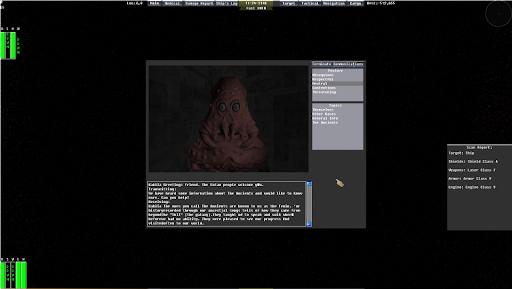 The GUI is open source if you want it. 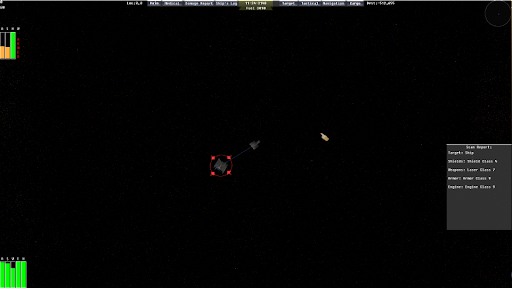 Obviously the graphics are still wip, but there is a lot of things already working here, like planet landing and planet exploration, including the needed spaceship and an atv rover to explore planetary surfaces... cool! I recommend everyone who likes space exploration to download and try this one. About the GUI, it does pretty much its job, and it is totally needed for the huge depth of this game. That's a good idea (the left-handed click). I'll try to get my GUI to use that. It's a tall order because I have mouseclicks everywhere, but I think I can manage. The update will be soon--perhapse by Monday. Left-Handed Mouse is now possible. As always, the update is in the top post. Take a look at the "Ship's log" and follow the clues.... It's short, but the plot will eventually unfold. The update is in the first post. This game is pretty cool Keep up the great work! More up to date version is in the first post. I most likely won't be able to post another for a few weeks. Please test it out and let me know what you think or any bugs you find. 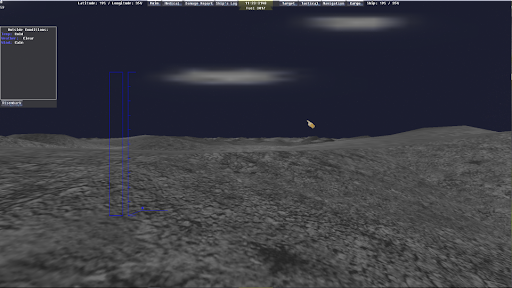 I will be changing the terrain for on-planet to be a dbTerrain as soon as I can get back to programming. See you all in a few weeks. The "face lift" is done. Download from the link in the first post. Please test it out and let me know of any problems you encounter. So far the game's plot is not very long. It will get bigger as I continue. New update. New features. Check it out. The link is in the top post. I've seen that. A little late to change the way I am doing it. 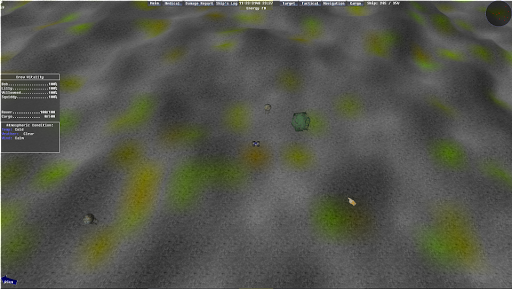 I may improve the resolution of the planet's terrain generator, but for now, I think it does what I need. I still need to make an atmosphere and do ice caps, but that's later. I am working on the functionallity and plot development right now. I have made a few minor changes. I also made my first YouTube video ....... It's in the first post. Ice caps and Atmosphere is done. Watch out for storm conditions on the surface if you loose your rover and have to walk to your ship. The update is in the first post. Only when you run out of energy. Bad news guys.... I was robbed today. They took my programming computer among the other stuff that was stolen. I lost a good portion of the last few weeks of work. The last backup I did was 29 July. I am using my girlfriend's computer right now and it's not a very fast laptop. Hopefully the cops will find my stuff, but even if they do, I'm not sure it will be intact. The loss of my intelectual property somehow hurts more than the monitary loss. When I get back up with a new pc I'll get back to work. Sorry to hear that. I recall having the hard disk corrupted some years ago, and I lost part of the project. Don't let this discourage you, and good luck finding the computer. Ok. I got it back to where I had it before. I modified it a little too. 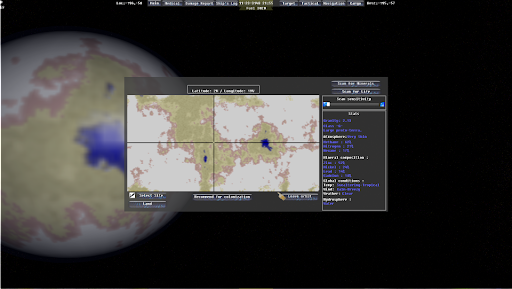 I added atmosphere and a unique map for each planet. Let me know if you like it. In my next post I will have a new race to encounter, the Ka'klia. Here is an update. I'm trying to upload it in a self-extracting RAR. Hope it works. I also want to know if this "self-extracting" means the user doesn't need WinRAR.....? Quote: "extractor is working !" That's good to hear. I do updates fairly regularly, so keep checking and I'll post when I do an update. One small thing i notice is that there seems to be static stars around the ship when in space , they stay still when your moving so it looks a little odd. btw check your email !! When objects are thousands/million/billions of light years away, they appear not to move with respect to a fixed camera angle even when the camera is moving. I'll look in to how much that effect really has with the distances the ship is moving. BTW I checked my e-mail. Nothing. Did you send me something? The first post has the update. yes a reply from your contact form on my site , maybe your spam filter delt with it. the static star thing.. fair enough but it just looks odd when the stars are lit up by the light around the ship and those are the only ones u can see. edit ; just checked , that does seem to happen although it is indeed the over the whole screen , an optical illusion, the perspective just doesnt quite work, i would try either scroling the background everso slightly or maybe move the closer stars less. on a less pedantic note , that alien pic looks awsome, did you make it yourself? ***EMAIL REMOVED AS PER REQUEST***"
Quote: "that alien pic looks awsome, did you make it yourself?" Yes. I use "Sculptis". It's a very good tool for making character bodies. Quote: "ok the updated version has remedied the situation, I launched the old exe "
What did it fix? The parallax? looks like you removed the background stars that didnt move when you fly around . sorry for double post something wierd happened. your email has been removed from the earlier post. Google tried to deliver your message, but it was rejected by the recipient domain. We recommend contacting the other email provider for further information about the cause of this error. The error that the other server returned was: 550 550-5.1.1 The email account that you tried to reach does not exist." I have no idea why. I am simply trying to reply to the email you sent me. I'm not typing it in--just reply. very strange . I have made a support case to my isp . Update is in the first post. Download it and try it out--PLEASE. Let me know of any errors. Tell me one thing, is it already possible to travel to other star systems? In real life? We don't have any technology to make it within someone's lifetime, but in my game, TOTALLY! 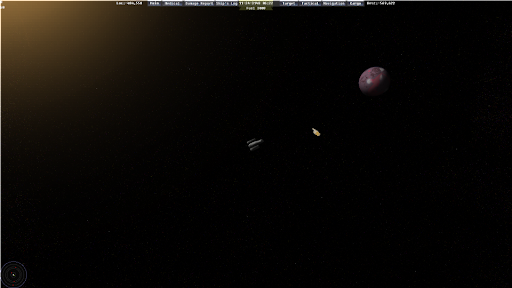 Each star has it's own planetary system and you can land on any planet. Beware, planets with gravity greater than 6g will pull the ship so much, your engines can't get off the ground and planets with "melting" temperatures will cause your rover to degrade and you could die if your crew has to leave the rover to get back to the ship. I'm working on more "cool" stuff this weekend and I'll be posting it Sunday evening (I'm in CST).